Read more information about the cookies we use. "All right Kega, create a Google Assistant Action"
Voice assistants are hot, especially since Google launched the Dutch version of its Assistant and will start selling the clever Google Home speakers in the Netherlands in late October. 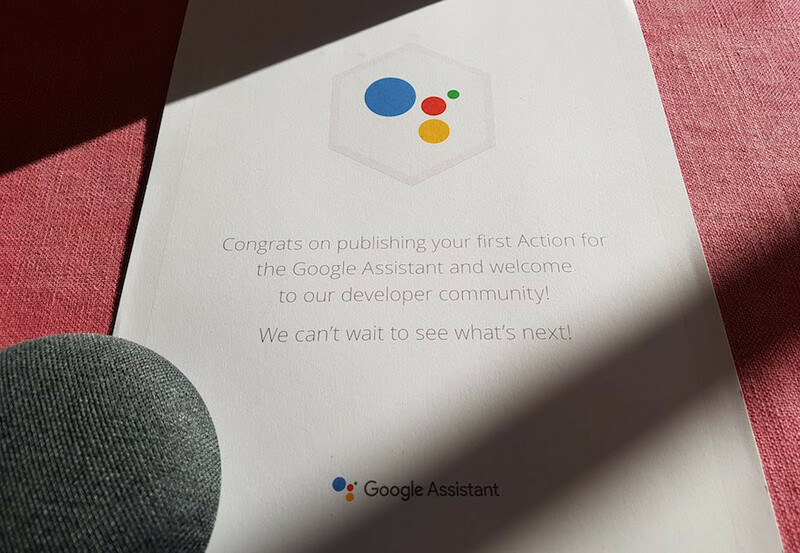 Kega is member of Google's developer community and, as such, is the ideal partner for your first application of the Google Assistant. Discover more. Is conversational commerce about to shake up the retail sector? 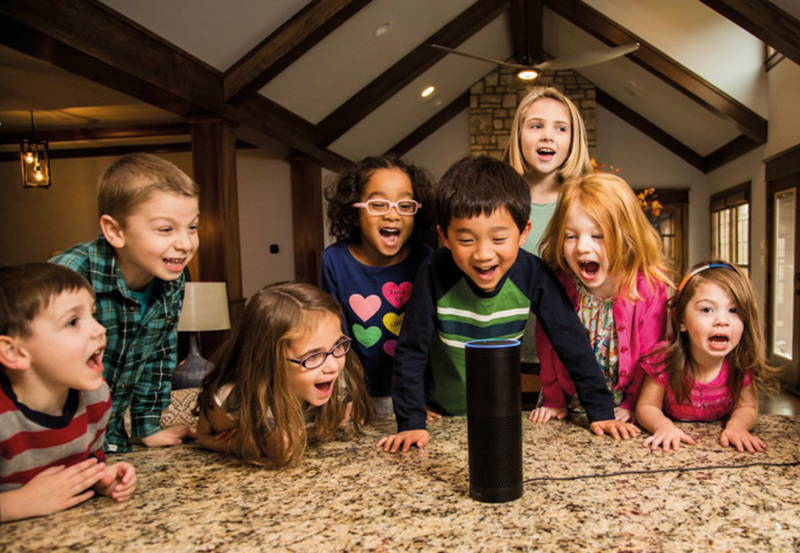 Research is predicting that the market for voice shopping will reach the $40-billion mark by 2040, and that's only in the USA and the UK! The digital assistants of Amazon (Alexa), Google (Assistant), Apple (Siri), Microsoft (Cortana), Alibaba (AliGenie) and Tencent (Xiaowei) are expected to be the driving force behind the incredible advance of conversational commerce in the years to come. They will manifest themselves in scores of shapes and purposes. From a personal mobile assistant in smartphones, smart watches, smart speakers (in 2017, American households already had 39 million smart speakers in their home, and 55% of US households are expected to have at least one within the next 5 years) and cars, to a variety of chat bots. But you'll be seeing them in physical shops, as well as in the shape of robots, smart mirrors and speaking shelves. Comscore estimates that by 2020, half of all searches will be voice activated. Most of these searches are currently being used for checking weather forecasts or playing your favourite tunes. But this is all about to change, according to research conducted by Capgemini among five thousand consumers in the US, UK, France and Germany, which asserts that voice assistance is on the way to becoming the number-one interaction method with consumers. In short, we're moving from ‘tap & look’ to ‘speak & listen’. 24% of consumers already say they would prefer using a voice assistant to a website, and this percentage is expected to increase to 40% in the next three years. Will it mainly be the online players who feel the pain of conversational commerce. Absolutely not. Looking at the spending mix, it is estimated that the share of physical stores will drop from 59% to 45%. In fact, research indicates that within three years, 31% of consumers will prefer a voice assistant to visiting a physical store. In 2015, sales totalling 1.9 billion dollars in the United States were made through smart speakers. This rose to 5 billion in 2017. Estimates show that the share of voice assistants will increase to 18% of our total spending in the coming years. These figures aren't yet very tangible, so let's have a look at some real figures: Amazon Echo users currently spend around 70% more with Amazon ($1.700 a year) than the average Amazon customer ($1.000 a year). In theory, this means Amazon has a pretty strong business case should it ever decide to give a free Amazon Echo to all customers with their next order. The Dutch are still very much fans of supermarket bargain booklets. A trip to the supermarket is bound to start off with a quick perusal of the best buys to decide what the family will be having for dinner for the rest of the week. With this bargain hunting mindset in mind, Dutch supermarkets are accustomed to using advertising tactics claiming to have the lowest prices, the best special offers and the biggest discounts. Conversational commerce will bring about a radical change in this sense. Why would I, the consumer, still want to compare prices and do all my shopping in just one supermarket? I'll just ask my voice assistant to put together and order the cheapest combination of my weekly grocery list, possibly with a couple of additional items, and see where the best bargains come from when they are delivered. So it looks like this might be a good time to sit down together and discuss how your brand can get ahead with Conversational Commerce! Contact René Spaanderman – rene.spaanderman@kega.nl or call +31 (0)252-750275 to find out more. © Copyright 2019 | All Rights Reserved | Read more information about the cookies we use.